Do you know someone who exemplifies all American values and is in need of recognition? 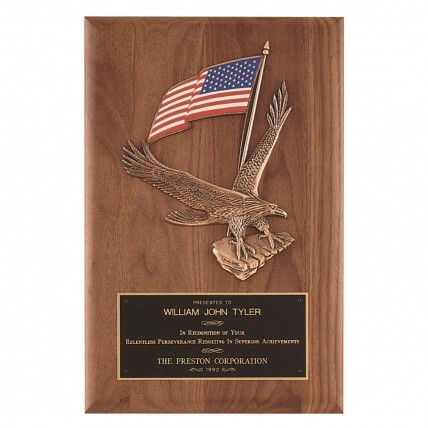 The Colorful Flag and Eagle Plaque is the perfect award for you! 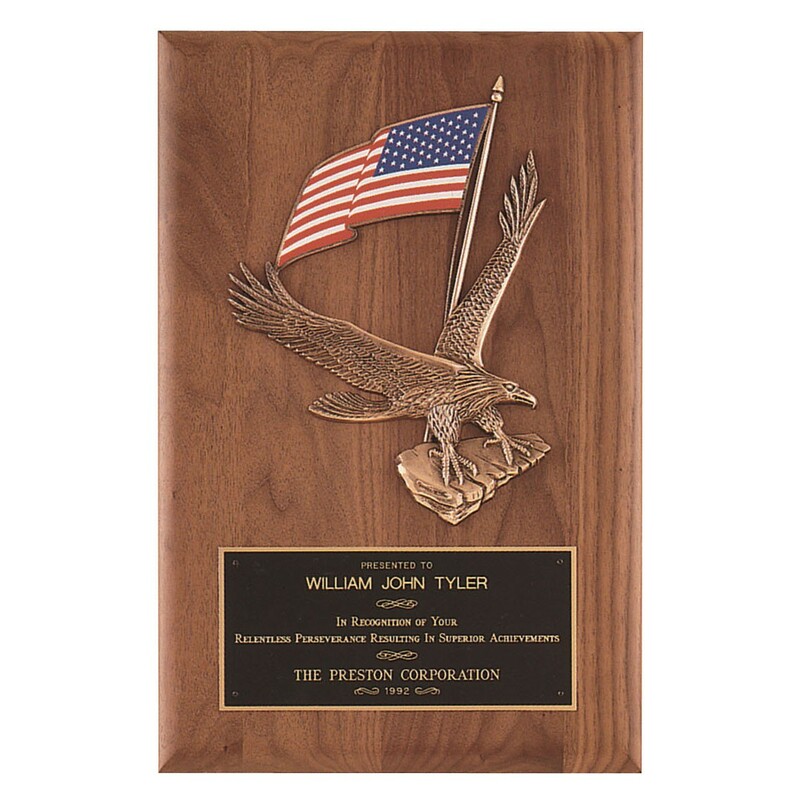 This solid wood plaque has a full color American flag and cast bronze eagle swooping from a ledge. Your words of recognition are engraved in gold on a black brass plate with a gold border. Choose from two sizes: 8x10.5 or 14x20.